With support from Heinrich Boll Stiftung, a week-long study tour of social housing approaches in Munich, Germany, has broadened SPACES FOR CHANGE’s understanding of affordable home-ownership models that can be deployed to increase housing delivery to low-income earners and the urban poor. From Lagos, to Abuja, to Port Harcourt, and other Nigerian cities, millions of urban poor dwellers and low-income earners live in unplanned settlements, often referred to as slums. Housing conditions in the slums are squalid, often characterized by dilapidated housing structures, overcrowding, with high proportions of people living in single rooms; lacking access roads, sewage and drainage systems, health facilities and other social amenities. Many poor and low-income families who are unable to afford high rental and housing costs in the formal property market find refuge in these slums where land and housing can be purchased and built according to means and capacity. The study tour provided opportunities to learn about urban housing development in Munich, the emergence and importance of social housing and housing cooperatives. We also learned about the principles and frameworks for housing cooperative projects, the city council’s pro-poor housing interventions such as the financing programs and council grants, including other supportive state policies and regulations. 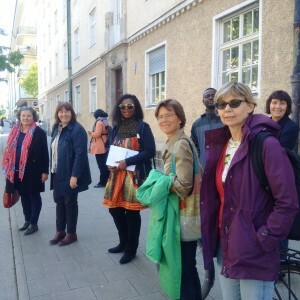 The guided tours to major social housing schemes across the city, lectures on participatory planning processes and model projects and exchange activities with the Planning Department of the City of Munich, were all designed to enrich our understanding of the diverse approaches for deepening social inclusion and increasing housing delivery to low-income households. Germany has 16 States, but about 1.5 million live in Munich. As with Lagos and other Nigerian cities, housing costs, including rent are expensive in Munich, forcing residents to spend a huge portion of their income on rent or housing. 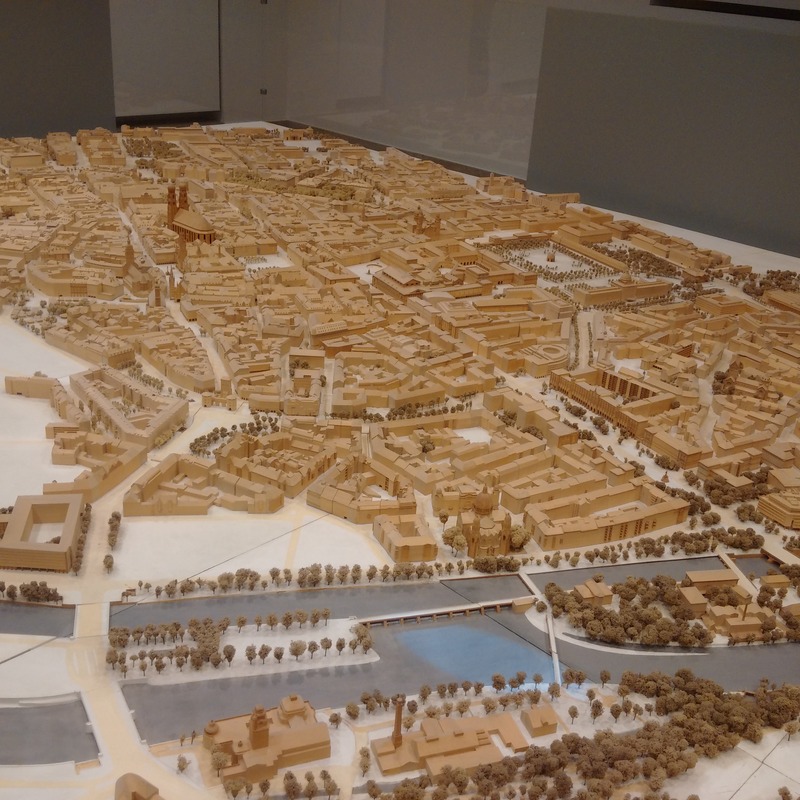 So, Munich’s City Council intervenes in a number of ways to protect low-income earners and meet their housing needs. 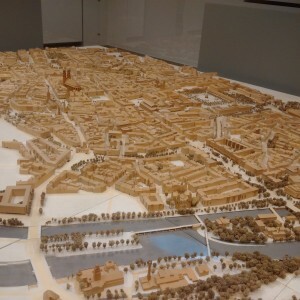 Munich City Council intervenes through land grants, social housing policy, regulatory frameworks, subsidies, reduced bank rates, supporting cooperatives. In terms of land grants, 20% of all public land reserved for the municipality is dedicated to social housing. In all city-owned housing projects, 50% is allocated to social housing. By that policy, it’s impossible to have choice areas with a concentration of rich people only. High & low-income live in same neighbourhoods. Liken that to Dangote, Otedola and people from Badia and Otodo-gbame living in the same neighbourhood, an inclusive social arrangement enabled by the state housing policy. Furthermore, Munich’s City Council grants housing subsidies to low-income households. In this regard, the city gives land to the investor/developer at a lower cost to build apartments for the low-income groups. It further ensures the developer secures loan from the bank at a lower rate. Private banks give loans at the rate of 1.5% but social housing investors secure loans at the government rate of 0.5%. When the house is constructed, the developer cannot sell the property in the formal property market until after 40 years. During this period, but they can only maintain them as subsidized housing for low-income groups. Renting of spaces for social housing costs 12.5 Euro per square meter, but goes for 16-20 Euros per square meter in the formal market. Apart from city-level interventions, residents are also developing a variety of solutions to the problems of unaffordable housing. The popular strategy is through the formation of housing cooperatives. Munchen West eG (WGMW) in the West-end district is one of the largest cooperatives in Munich, founded in 1911, to ensure affordable housing for its members who were initially, mainly comprised of railway workers at the peak of industrialization in Germany. 40 years ago, the West-end area was a common area, not for the well-off. Today, it is one of the most sought-after areas of the city. Evincing how popular the cooperative model has become, the city of Munich now sells spaces for buildings to cooperatives more frequently. So, whenever the municipal announces that it has spaces to sell, the cooperatives apply. In organizing cooperatives, the people, that is, prospective tenants, get together first and organize themselves into a cohesive body. Usually, cooperatives just don’t want to build residential apartments, but mixed use areas with accessible spaces that can be used by women, children, youth, the disabled, while serving both residential and commercial needs. Cooperative-financed housing is linked to the concept of community-oriented living. This is consistent with democratic societies and the notion of extended family system with a lot of dependable support networks. Wogeno Munchen eG, founded in 1992, is an interesting example of a cooperative that has received a lot of land grants from the city council to in furtherance of community-oriented living. In the case of the Wagnis eG, the cooperative members raised one-third of the sum needed for the building project, and got support from the bank and the city council for the remaining balance. In other words, the state, through the city council, provides counterpart funding to subsidize housing for the poor. If a member of the cooperative moves out of the estate, s/he gets his/her money back. The money from the person taking over his/her apartment is used to offset the costs/contributions of a leaving member. Membership of the cooperative is also not free. Membership fee into Wagnis eG, for instance, is 1,000 Euros. This fee is also refundable on leaving the cooperative. Wogeno eG started with 11 members in 1992, and its membership has now grown to over 5,000 in 2017. The cooperative owns about 500 flats with an investment of 100million Euros, with members contributing about 40million Euros. On the other hand, Wagnis 1 is the first facility of the Wgnis Munchen eG, and has 92 apartments in 4 houses called a ‘small village’. Wagnis 4 has 53 apartments and 2 guest apartments in three houses. Another unique thing to note in Munich is how urban space is maximally used for a wide range of purposes to improve urban livabiity. Guided tours of Wagnis 1 and 4 eG-owned flats showed building spaces that are fully maximized. In one building, the car and bicycle garage is located at the basement, the solar and plant gardens are on the roof top, common spaces for meetings are also located at the basement while a public partying arena is also at the rooftop. In another building, a children’s playground is on the rooftop, a supermarket on the first floor, and car garage at the basement. Common sitting or rest areas along the balcony of the buildings allow residents to interact more often and for kids to have more space for play. What is clear from the above affordable delivery models in Munich is that social housing is integrated in the urban housing policy. Every housing development project is required to have a social housing component which allows for the integration of different income groups into the same environment. There are important lessons for Nigeria to learn from these affordable housing delivery models in Germany. Awareness about the concept of affordable housing is generally low in Nigeria, especially as most developers have been concentrating on high end clients, thereby widening the housing deficit, with the poor bearing a disproportionate share of this burden. SPACES FOR CHANGE is more determined than ever to create awareness on alternative housing delivery techniques, ensuring that state and private sector practitioners use the information to better the lives of the urban poor in Nigeria.